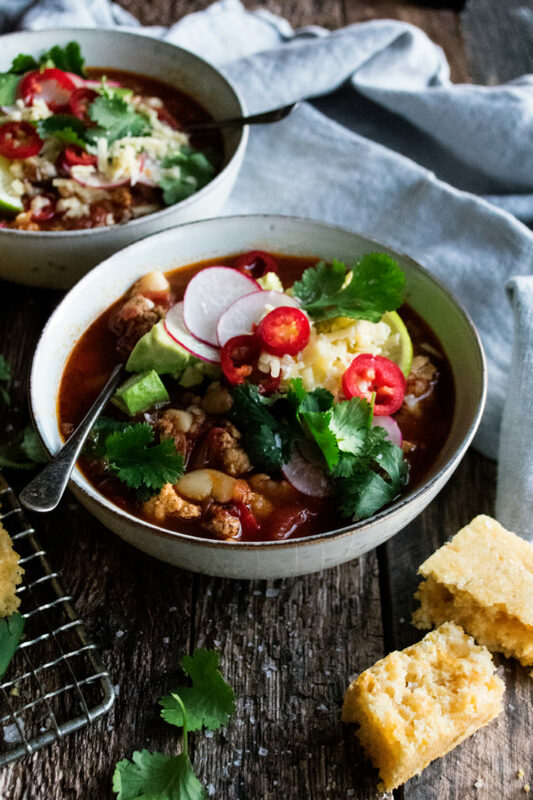 A game day go-to recipe that you will want to make over and over again, all winter long – white bean turkey chili that’s full of spices and topped with fresh, vibrant garnishes. I’m serving it with the most delicious, simple cheddar cornbread…because you really can’t have chili with cornbread, right?! 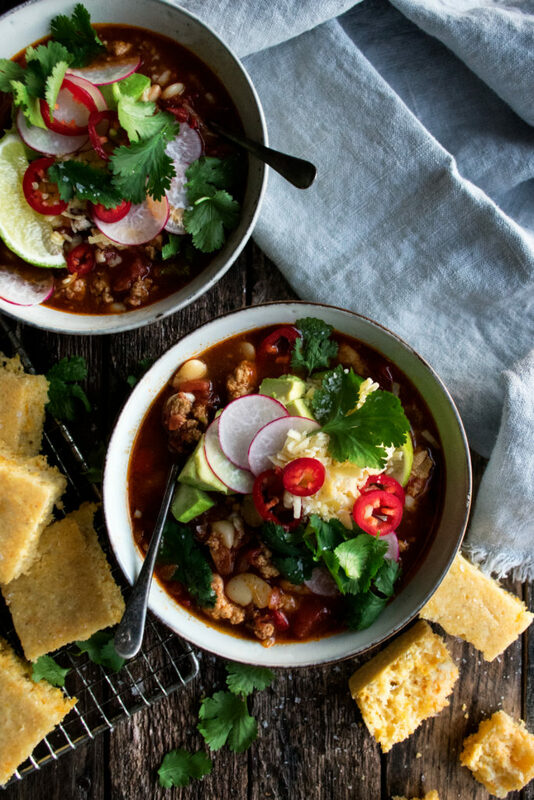 The Super Bowl has always been a day where we make chili. Usually, my grandma makes us her classic chili, and we eat it in a bowl or with tortillas, with lots of fixings and cornbread on the side. It’s one of my favorite meals because it’s just so comforting and always reminds me of a cold, cozy Super Bowl Sunday. I wanted to make my own version, one with lots of fresh, healthy flavor. Something that could be made for a simple weeknight meal as well and eaten as leftovers all week long. 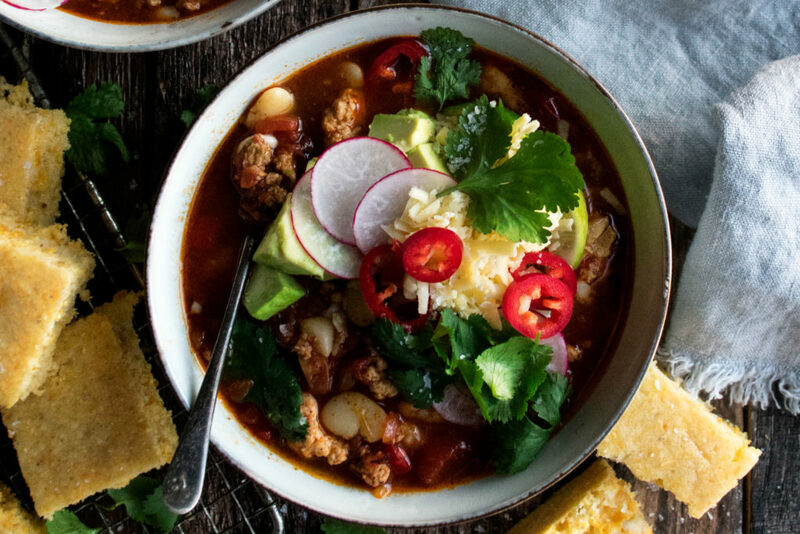 Enter this white bean turkey chili. Start by making the cornbread…because every chili needs a good cornbread. 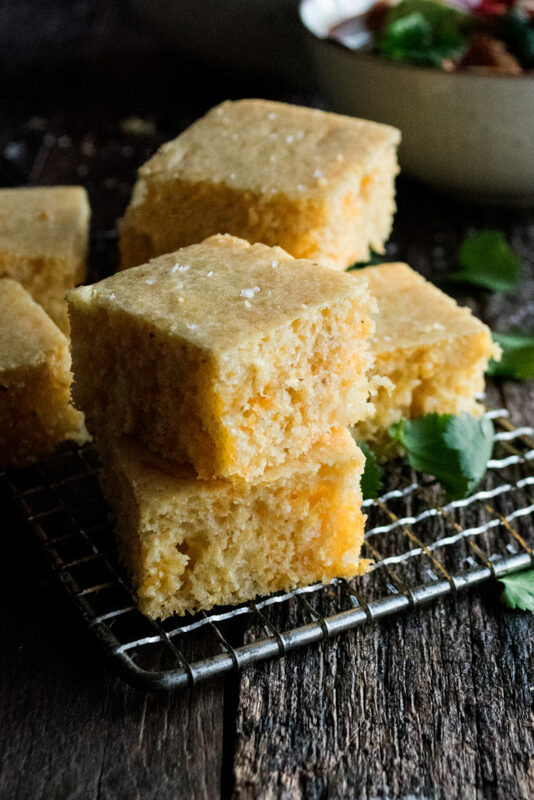 This recipe is simple and straightforward, resulting in a tender, light, very flavorful cornbread. It is delicious. While the cornbread is in the oven, start to brown the turkey in batches. You don’t want to overcrowd the pan, so I usually do the white meat first and then the dark. And I like using both kinds of meat for a mix of flavor (all white meat tends to be too dry). After the turkey browns, it’s all about layering flavors – first with some onions and peppers, then with the spices, then some fire-roasted canned tomatoes and chicken stock. The chili simmers for about 40 minutes (the perfect time to cut the cornbread, prep the garnishes, and clean up) and then gets a final touch of white beans and fresh lime juice. It’s all topped with some very necessary fixings: sharp cheddar cheese, creamy avocado, spicy chili peppers, fresh radishes, and a little cilantro. 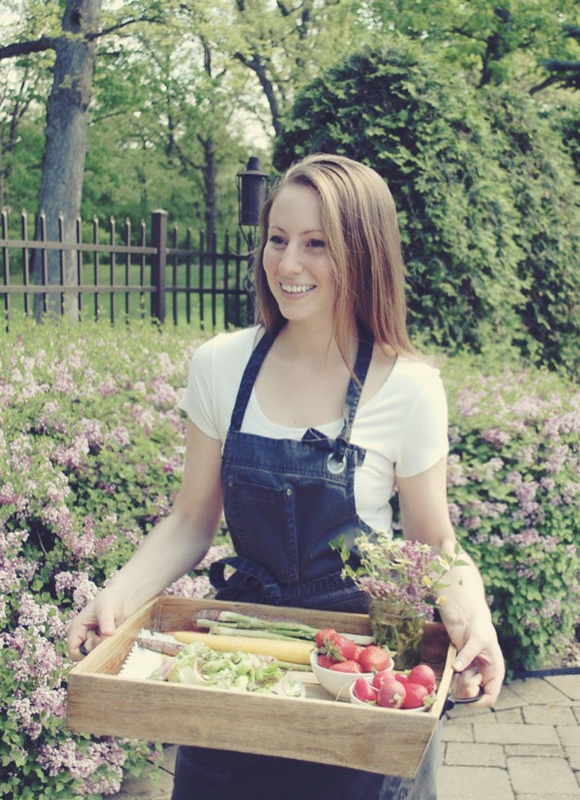 It’s a no-fuss, approachable kind of recipe that is bold and flavorful. Serve it with the cheddar cornbread on the side, maybe a big batch of chips & guacamole, too…and I’d say your Super Bowl is pretty complete! 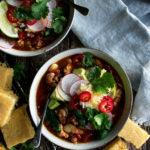 PS…the leftovers of this white bean turkey chili are even better than the real meal, so definitely make a full batch of this even if you’re only cooking for 1-2 people so you can enjoy it all week long!